NESET. THE VERY PLACE MY DAD WAS BORN. IT’S A CAMPGROUND NOW. AND VERY PEACEFUL AND LOVELY. DAD WOULD ENJOY IT. “I’m Norwegian,” I say whenever I have the chance. “Oh really, how long have you lived in the U.S.?” Then I have to admit I was born here. “But I’m full-blooded Norwegian,” I insist—ignoring that wee bit of Irish, English, Russian, Lichtensteinian blood that Ancestry claims flows in my practically pure Norwegian veins. Up North, my history/geography/travel memoir will have a very long introduction or a first section steeped in Norway and Norwegianness. 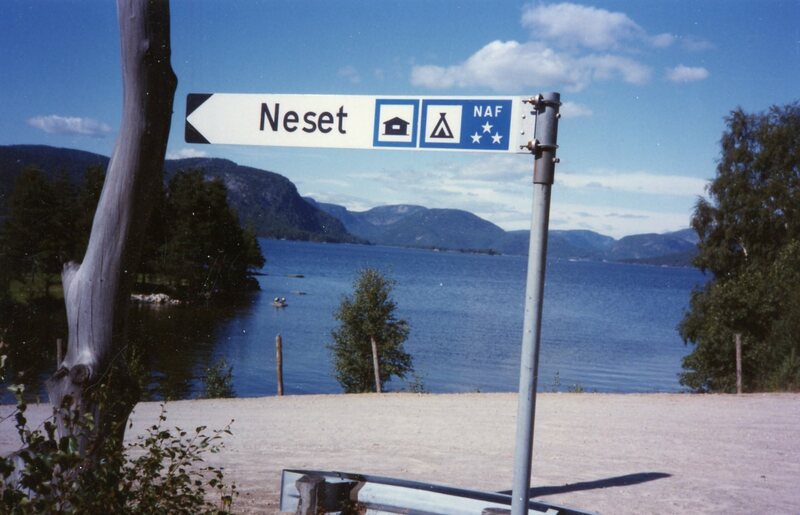 Which means the first week to ten days of 2015’s Up North/Far East trip will be Norway Revisited. Scandinavia, including Iceland, is not new and I’ve been writing about Odin and lefse and DNA throughout my two UCLA classes but two things remain to do. A well-researched (meaning books, not just Wikipedia) chapter or more on Norwegian history and a solid few days in contemporary Norway with laptop and camera in hand, cousins to visit. I will, beginning today, go to Ancestry a few times a week and avail myself of a U.S. second or third cousin’s research. I will begin (again) reading at least half a chapter a day of a Norwegian novel that’s not crime-based (which means I have time for a whole chapter of the latter). That would be Knut Hamsun, Sigrid Undset and/or that hot new guy, Karl Ove Knausgaard. I actually have dipped into each previously and find them all rather hard-going but I’m sure that’s only because Karin Fossum and Jo Nesbo have spoiled me. I will report back on these activities in January as an attempt to keep myself honest—and because I have Russia, Mongolia and China to cover as well. Norway is scenically beautiful, socially advanced and economically successful. While not quite the paradise we imagine, it does rank #1 or close in all quality of life charts. I love it there. Of course my visits have been brief and much of my love is based on my inherited Norwegianness from Ovidia Mathilda Floren of Baltic, South Dakota (first generation American) and Sven Neset of Byglandsfiord, Norway (immigrant, age 7) and on growing up in a northern Minnesota Norwegian community. For all of these reasons plus the fact I am increasingly sick of us/U.S. and the myth of ‘American Exceptionalism’ I am becoming more Norwegian by the day. Also we all seem to get more attached to a past, the past, our past, my past as we age. I have a wall of restored family photos from Norway and from the Norwegian communities of the Sioux River Valley in South Dakota and Koochiching County in Minnesota. I fall asleep with them every night. Besides I’ve never believed in heaven but Valhalla has possibilities. I look forward to your tales of Norway. I am going to start some family research and see where it takes me…Poland and Germany, I think. Not nearly as exotic as Norway. Hello Marj, nice to read that you are going to visit Norway, the country of your roots….A country I barely know except for having spent 2 days in Oslo many years ago to try and book dance from the USA! However pleased to add that I will be back there, in Oslo again, for 5 days this December to participate at ICE HOT Oslo, the 3rd and last component of the three dance platforms, having attended the first one 4 years ago with you in Stockholm! The same city I have just returned from for Kyle Abraham standing ovation performances of Pavement (created in Dec. 2012 at Harlem Stage) at Dansenshus, as part of an equally successful 2-week long/5 cities Swedish tour to be followed by a 2-week/6 cities ling tour of France next month! So pleased about Kyle’s success so far for his first real one month European tour, I know his work will be much appreciated there…. Wish I could like you, visit other places in Norway besides just Oslo: wishing you a new and wonderful travel and human experience! Bernard, I love to hear from you through WordPress land. Thanks for being in touch. And, as always, Hi to Vernon. So, yes I am excited about Norway. And the travel on the Trans-Siberian Rails and Mongolia and Beijing to follow. Stocking up on books right now so I’ll be an “informed” traveler. That is if I read them! I’m sick of it too but I call it “American Controlled Commonness”. When you, Lagertha, sail the northern route with Beth be sure to remember you’ve been reincarnated as an actual exceptional American.